My apologies for the very low amount of posts this year. I was elected as President of the Association of Professional Piercers and that has consumed a tremendous amount of time. I've also had the distinct pleasure to work at some of the best shops around the US including Modern Ritual, Cold Steel, 23rd Street Body Piercing, The Exotic Body, Vaughn Body Arts, Icon Tattoo, Saint Sabrina's and my original home, Rockstar Body Piercing. I also got to visit Elemental Body Adornments and Westcoast Piercing and Ink in Canada! Suffice it to say, it's been a very busy year. 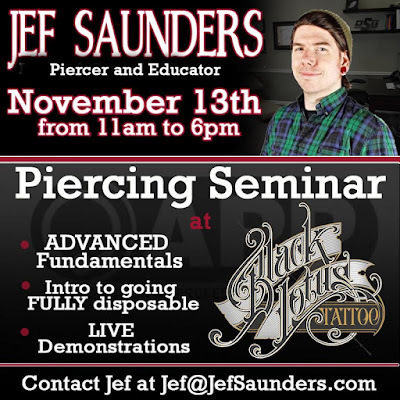 I wanted to invite anyone in the area to a class I am teaching at Black Lotus in Hanover Maryland just outside of Baltimore. 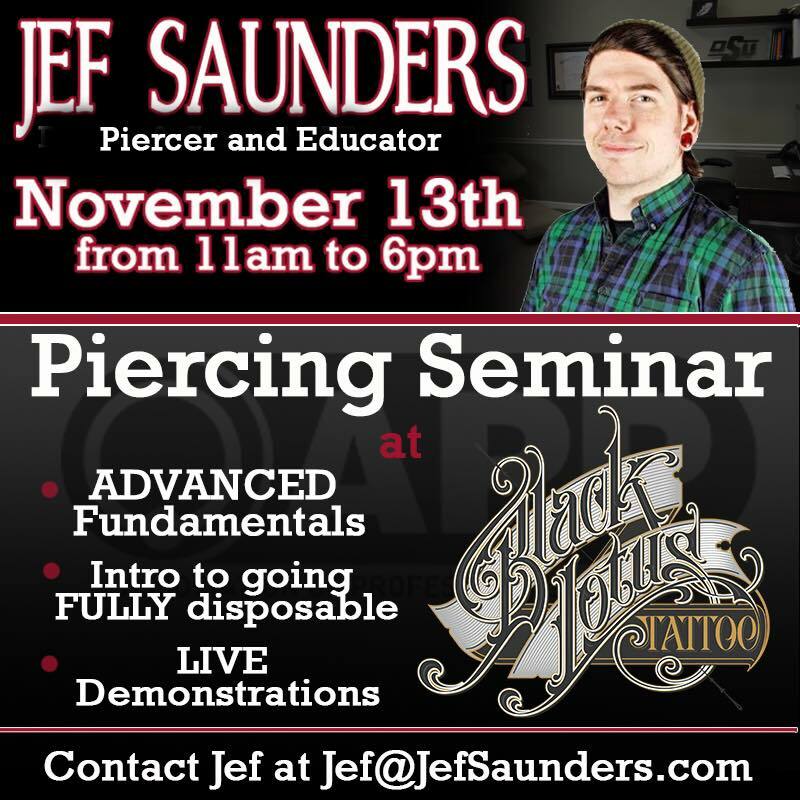 I will be presenting Going Disposable and Advanced Fundamentals 3: Daith, Rook and Tragus. My sincere thanks to Matt Buonantuono and the staff of Black Lotus for asking me to teach at their facility!